Home » Data / How to » Hints! Per recent 2016 numbers from the General Authority for Statistics, the total population of the Kingdom, as of 2015, reached 31 million. Saudis are about 21 million representing almost 68% of the total. Drilling down in the Saudis only, we will find that the Saudi population is very young. Almost, 47% of Saudis are under the age of 25. Additional 44 percent of the Saudis are in the range of 25 to 54. This is a great working force population. In Saudi Arabia, the use of internet is in a continuous increase. Per the C&ITC Q1 2016 report, it reached 22.3 million so far. 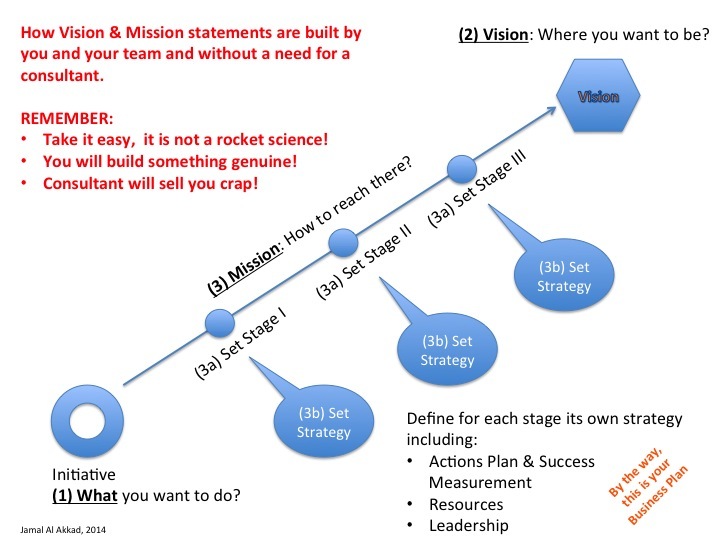 How to build your vision and mission statements toward a business plan formulation?